Video is an integral part of our lives and society. Our minds are constantly being stimulated by videos. You can’t open your smartphone without likely being bombarded by videos of ads, memes, the happenings of your friends and family, or the latest fight knockouts. But how powerful is this medium that seems to be everywhere in our lives in 2018, and how can it be used for Video training in MMA? Well for starters, video training has an uncanny ability to help our recall. Compared to just reading text, when a person watches a video with text their recall of things after three days increases from 10% to 65%. That’s quite the increase. So how can you use this platform to increase your performance? First, video training in MMA allows us to not only visualize techniques and motions for a move or strike but also remember and recall key points to executing these effectively. Mixed martial arts regardless of the sport is like a physical game of chess that involves a ton of mental processing. For anyone to be effective you must be able to quickly recall moves and positions from various circumstances while remembering the effective key points to executing this move effectively. Besides just recall, video training in MMA allows us to see things in a third person point of view allowing us to study techniques and moves repeatedly that we otherwise may not have been able to see. This ability to review and study a move repeatedly allows to be like an NFL quarterback in the film room, utilizing the power of film to increase recall, progression, and precision of execution. If we are reviewing our own training videos, we can learn from our mistakes, tighten up our technique and discover new opportunities for moves and strikes we might have otherwise never seen. This ability to review, study, and implement moves and techniques allows us to have a full process of effective learning that will not only boost our progress but increase our retention of such moves and techniques. It also opens us up to the ability to compare our technique to that of experts and pros in the field. When you couple this with visualization techniques, which are often used by the most skilled and elite athletes in the world, there’s no telling what you can do. 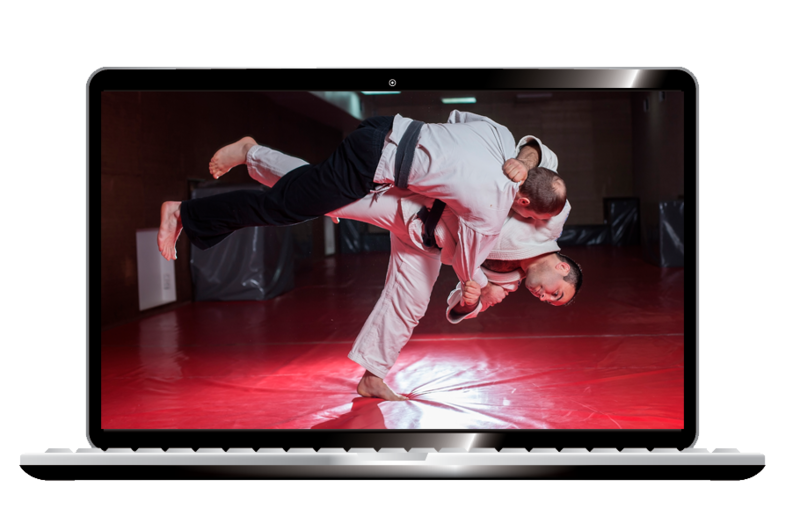 It’s clear that video training can help and hold a place in any combat sports training, but what’s the best way to go about this video-based training? We suggest using the Combat Academy platform. The app allows you to store, share, review, add personalized notes, tag techniques, and find training videos specialized in the areas you’re trying to improve on. It also creates a unique community that connects you with coaches, top athletes, training partners and friends. All in all, it gives you the keys to take your training to the next level, effectively using the power of video. Best of all, it’s completely free to sign up! If you’re ready to train like the best, click the link below to sign up NOW!